That thrill of excitement as you forged ahead, building something you could be proud of? And that passion, that hope, still lives inside you – although now it may be hidden under layers of questions, doubts and exhaustion. Because let’s be honest, business isn’t just hard, business is for gladiators. Everyday you must step into the arena with the psychology, the tools and the agility the change your approach, so that your business will thrive whatever the economic conditions. Now that you know the seven forces of Business Mastery, you’ve likely already identified the areas of weakness in your business. Maybe your sales have plateaued, or you have stopped innovating in a meaningful way for your client. Or maybe you have become an operator rather than an owner, getting caught up in the day-to-day challenges. 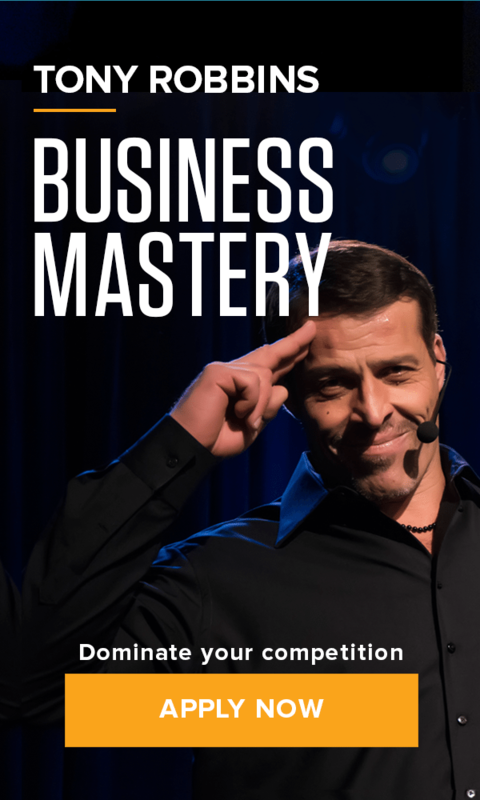 Whatever the areas of pain are in your business, Business Mastery is the answer. It’s a bold claim, we know. So Tony has guaranteed that you will receive $1 million in value to your business in the first day of the event or your money back. We’re bold because it’s true – and because our thrill, our passion is to help you succeed. See for yourself! Take action today and apply to join us at Business Mastery. Your business – and you – cannot wait another year.